This example constructs a pipeline that does dimensionality reduction followed by prediction with a support vector classifier. It demonstrates the use of GridSearchCV and Pipeline to optimize over different classes of estimators in a single CV run – unsupervised PCA and NMF dimensionality reductions are compared to univariate feature selection during the grid search. Additionally, Pipeline can be instantiated with the memory argument to memoize the transformers within the pipeline, avoiding to fit again the same transformers over and over. Note that the use of memory to enable caching becomes interesting when the fitting of a transformer is costly. It is sometimes worthwhile storing the state of a specific transformer since it could be used again. Using a pipeline in GridSearchCV triggers such situations. Therefore, we use the argument memory to enable caching. Note that this example is, however, only an illustration since for this specific case fitting PCA is not necessarily slower than loading the cache. Hence, use the memory constructor parameter when the fitting of a transformer is costly. 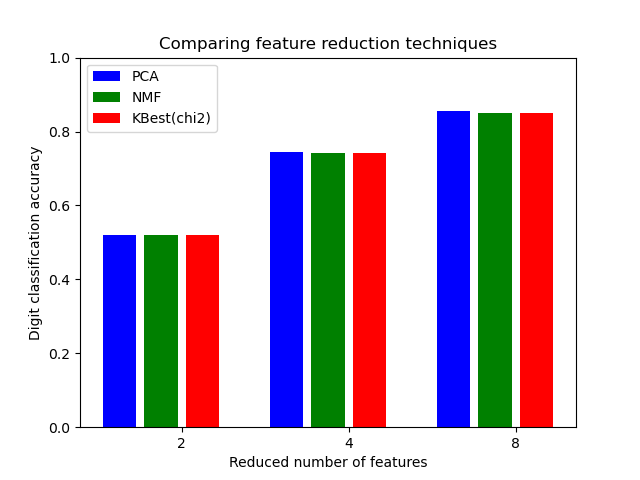 The PCA fitting is only computed at the evaluation of the first configuration of the C parameter of the LinearSVC classifier. The other configurations of C will trigger the loading of the cached PCA estimator data, leading to save processing time. Therefore, the use of caching the pipeline using memory is highly beneficial when fitting a transformer is costly.